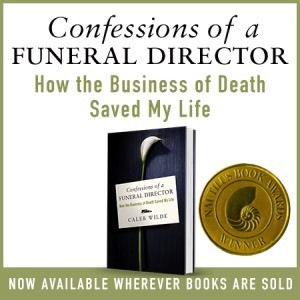 I had thought I had found a path to healing and wholeness, but then, in May of 2007, one of my oldest son’s best friends and his parents were murdered in their home. It was a gruesome crime that instilled fear into our home and the entire community. Nothing was stolen. There were no clues and no leads. Approximately 30 days later my oldest son, who was 16 at the time, was admitted to a local mental health facility because of threats of suicide. I feared the loss of his friend had been too much for him. Unfortunately, this was just the beginning. During a family counseling session my son confessed to his mother and me that he was the one responsible for the death or his friend and his parents! Thus began the darkest and most devastating period of my life. The wholeness I thought I had obtained was shattered into a life consumed by pain and brokenness. There was a time when I thought I would drown in the wave of despair that washed over me. Fortunately, I was eventually able to rise above the despair and find my way to healing and wholeness. This doesn’t mean I’m perfect and never have a “bad” day. I’m human. Events and people sometimes chip away at me. I have moments where I feel sad or down. I get angry at things I know shouldn’t bother me. I say things that shouldn’t be said. But I respond totally differently today. I don’t stay there. The peace and joy I’ve found soon return. I recognize when my past hurt and brokenness rears its ugly head and I now am able to acknowledge it, respond to it and not allow it to derail my day, my relationships, my life and ultimately the joy I’ve found in life. I believe that if I can do it, everyone can do the same thing. Their lives can be joyful. My intense conviction is that no one needs to be or deserves to be lost in the wasteland of pain and brokenness. If I can help just one person heal and become whole again, then I will have spared one person the continued pain of being hurt and broken. In doing so, I’ll improve not only their life but also the lives of everyone they touch. What a gift to bring to the world. People ask me how did I do it? How did I find joy? How did I find a way to give myself permission to be happy again? I wish I had an easy answer. I remember at one point in time asking a therapist, “Just tell me what to do to get better and I’ll do it.” He smiled and told me it doesn’t work that way. Unfortunately, there isn’t a simple 1 -2 -3 step to healing and becoming whole. Each of us needs to find our own path. We may need to change our view of the world. Is our view negative and angry or do we find the best in a situation and approach each “obstacle” with hope? How do we change our view of the world? Start by filling your mind and environment with positive words, books and people. This may sound harsh, but if it doesn’t lift you up, it tears you down. Remove what tears you down and replace it with what lifts you up. I’ve read many books by self-help gurus and spiritual leaders that reinforced positive and life-altering ways of thinking and approaching life. I went to counseling, seeing a psychologist and having a safe place to be broken and honest was incredibly valuable. He helped me understand the process I was going through and how events and people in life influenced my attitudes and actions. It enabled me to respond differently and in a healthier fashion. I realized the incredible liberation of forgiveness – accept God’s forgiveness given to you, no matter what you have done. Forgive yourself for all of the “mistakes” you have ever made. Forgive those who have “wronged” you – parents, siblings, spouses, co workers, leaders, strangers on the street – it doesn’t matter who – forgive – let go of the anger and the pain. It only damages you! When I was asked to share my passion for healing and wholeness, the task seemed overwhelming to me. Our search for healing and wholeness has been a quest of mankind since the fall of Adam and Eve. There have been lives dedicated to this quest. Volumes and volumes of writings have attempted to show us the way. Jesus came, taught, died and rose to share with us how to become healed and whole. Yet we ALL remain hurt and broken. Yes, everyone is hurt or broken in some way. You’re broken just like the rest of us. But that’s okay. There is always a way back to healing and wholeness. Tim Kreider is passionate about helping people find healing and wholeness. He shares his story at churches, businesses, youth groups and other gatherings, and he started a non-profit organization called Also-Me that encourages people not to live life alone. He lives in Womelsdorf, PA with his wife Lynn. 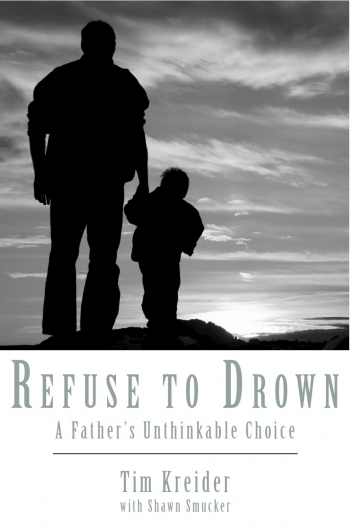 To read the entirety of Tim’s story and his path to healing, you can purchase his book, “Refuse to Drown”. This entry was posted by Caleb Wilde on March 25, 2014 at 10:13 am, and is filed under Guest Posts, Murder. Follow any responses to this post through RSS 2.0.You can leave a response or trackback from your own site.